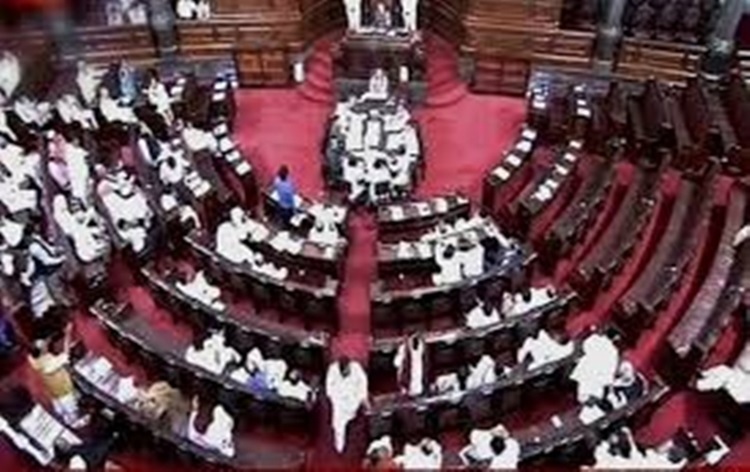 The Rajya Sabha was adjourned for the day today as SP, BSP, RJD, TMC and other parties were unrelenting in their protests over changes in the faculty recruitment system in colleges and universities. Thanks on the President’s Address. As Mr Yadav began his speech, members from Opposition parties trooped into the Well, raising slogans against the government. The Chairman repeatedly asked for order in the House, saying the entire country has witnessed the conduct of the members. But, the agitating members continued sloganeering, leading to adjournment of the House for the day. Earlier, the issue was raised during the Zero Hour, with these parties demanding that the government bring in a bill to restore the previous 200-point roaster system for recruitment to safeguard reservation for SCs, STs and OBCs in higher educational institutions. Later, the House held a brief discussion on the matter, with Ram Gopal Yadav of Samajwadi Party saying the new 13-point roaster system considering a university department as a unit to implement reservation adversely affects the interests of SCs, STs and OBCs. He accused the government of not presenting its case strongly in the court on the issue and demanded that a bill should be brought in immediately to restore the earlier reservation system. Satish Chandra Mishra of BSP echoed Mr Yadav’s views, saying as per the new system, SCs, STs and OBCs will be deprived of reservation for years. He asked the government to stop the recruitment process in universities till the bill is brought in. Manoj Jha of RJD said the government should bring in a bill on the matter instead of filing a review petition in the court to challenge the changes made. CPI member Binoy Viswam also supported the demand, saying the principle of social justice must be upheld. Members from Congress and some other parties also lent their support on the issue. Responding to the members, Human Resources Development Minister Prakash Javadekar reiterated the government’s commitment to reservation and asserted that it will not allow any changes in the quota system. He said the government is seized of the matter and is confident that justice will be done when a review petition is filed in the court. He also said that the Centre is taking legal opinion so that the stay on UGC circular related to filling of vacancies is lifted. The Minister clarified that the 13-point roaster system has come into being because of the court’s order and not the government’s action. Dissatisfied with the Minister’s reply, members from SP, BSP and RJD raised slogans, forcing adjournment of the House till 2 O’clock.